This article is about the concert. For the Ted Nugent song, see Wango Tango (song). 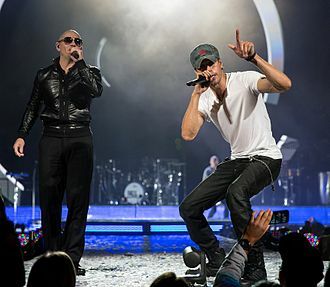 Wango Tango is an annual day-long concert produced by local Los Angeles radio station KIIS-FM. 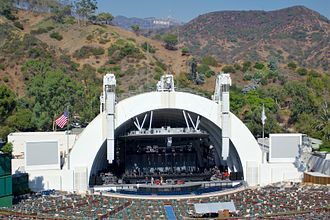 The concert series has been staged at various venues around southern California including Dodger Stadium in Los Angeles, the Rose Bowl in Pasadena, Angel Stadium in Anaheim, Verizon Wireless Amphitheatre in Irvine, Staples Center in Los Angeles and now at the StubHub Center (formerly Home Depot Center) in Carson, CA. The concert series is noted for featuring several marquee performers in a day long series of sets. Often, noted celebrities are on hand to introduce each act. The concert concept was conceived by then marketing director Von Freeman and the General Manager of KIIS FM at the time, Roy Laughlin. Bands listed in alphabetical order (or, if known, in reverse order of night's performance). The 1998 event was held at Edison International Field of Anaheim on June 13. The 1999 event was held at Dodger Stadium on June 12. 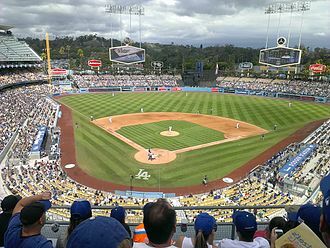 The 2000 event was held at Dodger Stadium on May 13. The 2001 2-day event was held at Dodger Stadium on June 16–17. The 2002 event was held at the Rose Bowl on June 15. The 2003 event was held at the Rose Bowl on May 17. The 2004 event was held at the Rose Bowl on May 15. The 2005 event was held at Angel Stadium of Anaheim on May 14. 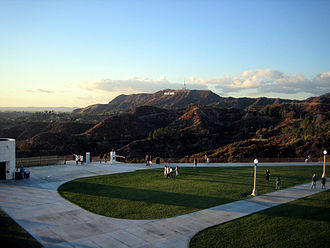 The 2006 event was held at Verizon Wireless Amphitheatre on May 7. 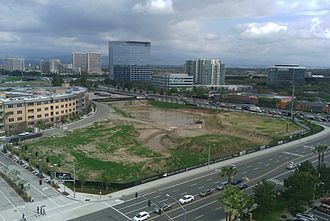 The 2007 event was held at Verizon Wireless Amphitheatre on May 12. The 2008 event was held at Verizon Wireless Amphitheatre on May 10. The Dey did not perform, so Prima J took their place instead. The 2009 event was held at Verizon Wireless Amphitheatre on May 9. 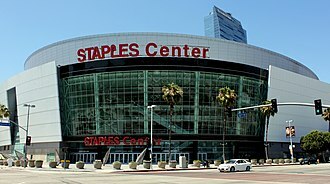 The 2010 event was held at Staples Center on May 15. 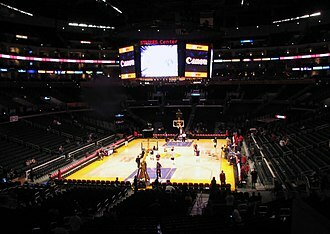 The 2011 event was held at the Staples Center on May 14. The 2012 event was held at the Home Depot Center on May 12. The 2013 event was held at the Home Depot Center on May 11. The 2014 event was held at the StubHub Center on May 10. The 2015 event was held at the StubHub Center on May 9. The 2016 event was held at the StubHub Center on May 14, 2016. The 2017 event was held at the StubHub Center on May 13, 2017. The 2018 event was held at the Banc of California Stadium on June 2, 2018. Additionally, this edition of the event was added to the national iHeartRadio concert schedule and advertised nationally. ^ Tecson, Brandee J. (2005-05-16). "Old Meets New As Gwen, Ciara, Simple Plan, Peas, J. Lo Rock Wango Tango". MTV.com. Retrieved 2014-04-22. 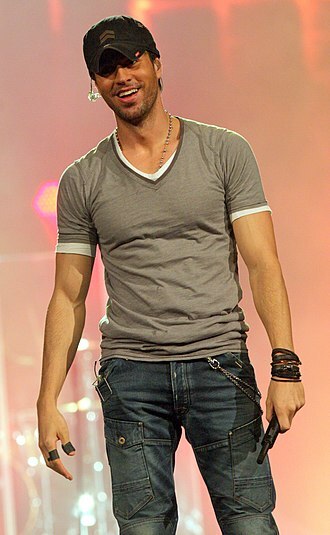 ^ "WANGO TANGO 2013". Kiisfm.com. Retrieved 2014-04-22. ^ "Wango Tango". Kiisfm.com. Retrieved 2014-04-22. ^ "KIIS FM's WANGO TANGO". StubHub Center. Anschutz Entertainment Group. Retrieved May 2, 2016. ^ "iHeartRadio Wango Tango 2018". Retrieved April 28, 2018. Sir Thomas John Woodward OBE is a Welsh singer known by his stage name Tom Jones. Joness powerful voice has been described as a full-throated, robust baritone and his performing range has included pop, rock, R&B, show tunes, dance and gospel. In 2008, the New York Times called Jones a musical shape shifter, who could slide from soulful rasp to pop croon, with a voice as husky as it was pretty. Jones received a Grammy Award for Best New Artist in 1966, an MTV Video Music Award in 1989, Jones was awarded an OBE in 1999 and in 2006 he was knighted by Queen Elizabeth II for services to music. Jones was born Thomas John Woodward, at 57 Kingsland Terrace, Pontypridd, in Glamorgan and his parents were Thomas Woodward, a coal miner, and Freda Jones. His maternal grandfather, Albert Jones, was Welsh, and his grandmother, Ada Jones, was born in Pontypridd, to parents from Somerset. Jones attended Wood Road Infants School, Wood Road Junior School and he began singing at an early age, He would regularly sing at family gatherings, weddings and in his school choir. Jones did not like school or sports, but gained confidence through his singing talent, at 12 he was diagnosed with tuberculosis. Many years he said, I spent two years in bed recovering and it was the worst time of my life. During convalescence he could do little else but listen to music, Joness bluesy singing style developed out of the sound of American soul music. 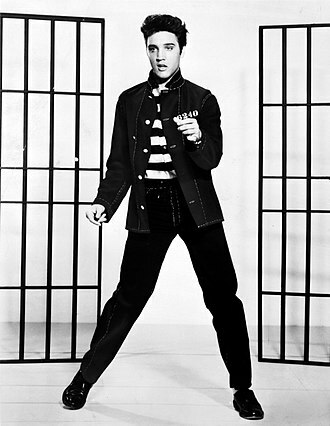 His early influences included blues and R&B singers Little Richard, Solomon Burke, Jackie Wilson and Brook Benton, as well as Elvis Presley, in March 1957 Jones married his high school girlfriend, Linda Trenchard when they were expecting a child together, both aged 16. The couples son, was born in the month following their wedding, to support his young family Jones took a job working in a glove factory and was employed in construction. Joness voice has been described as a full-throated, robust baritone and he became the frontman in 1963 for Tommy Scott and the Senators, a Welsh beat group. 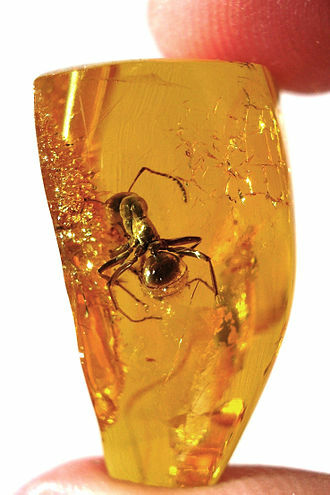 They soon gained a following and reputation in South Wales. Blondie is an American rock band founded by singer Debbie Harry and guitarist Chris Stein. The band was a pioneer in the early American new wave, Blondie broke up after the release of its sixth studio album The Hunter in 1982. 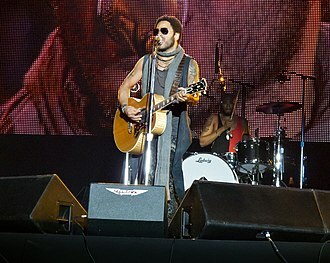 The band re-formed in 1997, achieving renewed success and a one single in the United Kingdom with Maria in 1999. The group toured and performed throughout the world during the following years, Blondie has sold 40 million records worldwide and is still active. The bands tenth studio album Ghosts of Download, was released in 2014, inspired by the burgeoning new music scene at the Mercer Arts Center, Chris Stein sought to join a similar band. He joined the Stillettoes in 1973 as their guitarist and formed a relationship with one of the bands vocalists, Debbie Harry. Harry had been a member of a band, the Wind in the Willows. In July 1974, Stein and Harry parted ways with the Stillettoes and Elda Gentile, originally billed as Angel and the Snake for two shows in August 1974, they renamed themselves Blondie by October 1974. The name derived from comments made by truck drivers who catcalled Hey, by the spring of 1975, after some personnel turnover and Harry were joined by drummer Clem Burke, and bass player Gary Valentine. Blondie became regular performers at Maxs Kansas City and CBGB, in June 1975, the bands first recording came in the way of a demo produced by Alan Betrock. To fill out their sound, they recruited keyboard player Jimmy Destri in November 1975, the band signed with Private Stock Records and their debut album, was issued in December 1976 but was initially not a commercial success. In September 1977, the bought back its contract with Private Stock. The first album was re-released on the new label in October 1977 and it noted that Harry was the possessor of a bombshell zombies voice that can sound dreamily seductive and woodenly Mansonite within the same song. Jimmy Destri credited the shows Molly Meldrum for their initial success, Stein asserted that X-Offender was too crazy and aggressive, while In the Flesh was not representative of any punk sensibility. The Rose Bowl is an outdoor athletic stadium in Pasadena, just outside Los Angeles. At a modern capacity of a configuration at 88,500 the Rose Bowl is the 17th-largest stadium in the world, the 11th-largest stadium in the United States. One of the most famous stadiums in sporting history, the Rose Bowl is best known as an American football venue, since 1982, the stadium has served as the home stadium of the UCLA Bruins football team. The stadium has hosted five Super Bowl games, second most of any venue. UCLA and the Pasadena Tournament of Roses have one member on the company board, the game now known as the Rose Bowl Game was played at Tournament Park until 1922. The Pasadena Tournament of Roses Association, the organizer, realized the temporary stands were inadequate for a crowd of more than 40,000. The stadium was designed by architect Myron Hunt in 1921 and his design was influenced by the Yale Bowl in New Haven, which was built in 1913 and opened in 1914. The Arroyo Seco was selected as the location for the stadium, the Rose Bowl was under construction from 1921 to 1922. 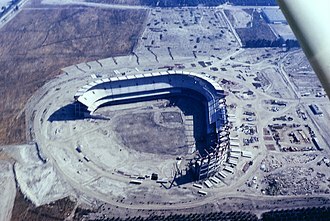 The nearby Los Angeles Memorial Coliseum was under construction during this time, originally built as a horseshoe, the stadium was expanded several times. The southern stands were completed in 1928, making the stadium a complete bowl, the stadium is extremely hard to get to due to the traffic caused by single-lane residential street access. The stadium has no dedicated parking lot for visitors and parking issues have routinely caused visitors to two to three hours completing the last mile to the stadium on game days. In 2016, Rose Bowl contracted ParkJockey to streamline parking in, there are shuttles to help visitors get to the stadium and mobile lights powered by generators to provide visibility for people walking on the golf course at night. The first game was a regular season contest on October 28,1922 when Cal defeated USC 12–0 and this was the only loss for USC and California finished the season undefeated. California declined the invitation to the 1923 Rose Bowl game and USC went in their place, the stadium was dedicated officially on January 1,1923 when USC defeated Penn State 14–3. Jessica Ann Johnson is an American singer and businesswoman. Simpson signed a contract with Columbia Records when she was sixteen. 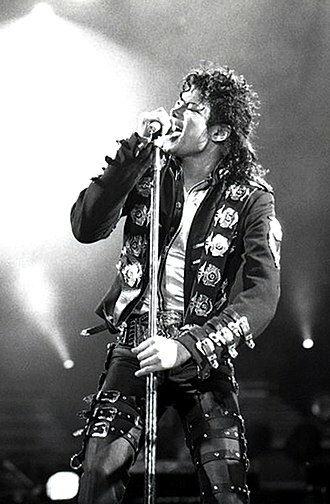 The album sold four million copies worldwide, and spawned the top three hit I Wanna Love You Forever. Hoping to achieve success with her second album, Simpson adopted a more mature image for the release of Irresistible. 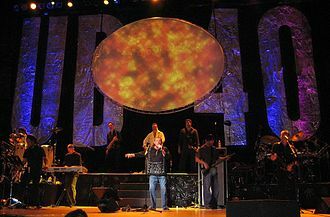 The albums title track, which served as the lead single, the album itself earned a gold certification from the Recording Industry Association of America. Simpson married singer Nick Lachey on October 26,2002 after four years of dating, the couple starred in the reality television series Newlyweds and Jessica on MTV, chronicling their marriage and careers. The show became a pop phenomenon, and made Simpson. Her third studio album, In This Skin, became her most successful album to date, the album was aided in part due to the success of the single With You, which topped the Mainstream Top 40 chart. She released a Christmas themed album, ReJoyce, The Christmas Album and she made her film debut as Daisy Duke in the film adaption of The Dukes of Hazard, it was commercially successful, though received a negative critical reaction. She recorded the song These Boots Are Made for Walkin for the film, in November 2005, Simpson and Lachey confirmed they were separating, Simpson filed for divorce the following month. It was announced that Simpson had parted ways with Columbia, Simpson has sold over 30 million albums worldwide. Aside from her pursuits, she launched The Jessica Simpson Collection in 2005. The brand has gone on to earn over $1 billion in revenue and her fifth studio album, A Public Affair, saw a decline in sales for Simpson. She starred in the romantic comedy Employee of the Month, with the release of her sixth studio album, Simpson attempted to shift into the country music genre. 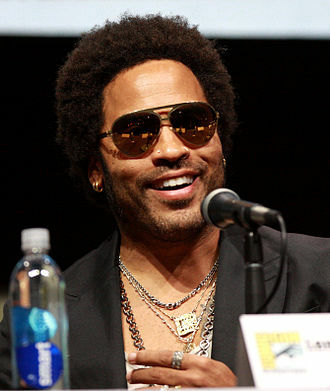 The project was met harshly by critics, and failed to achieve commercial success, Simpson went on to star in the reality television series The Price of Beauty, and was a judge on two seasons of Fashion Star. She gave birth to her first child in 2012, and her second in 2013, the following year, she married Eric Johnson, the couple had been engaged since 2010. Hanson is an American pop rock band from Tulsa, United States, formed by brothers Isaac and Zac. Supporting members include Dimetres Collins, and Andrew Perusi who have toured and performed live with the band since 2007 and they are best known for the 1997 hit song MMMBop from their major label debut album Middle of Nowhere, which earned three Grammy nominations. Despite the enormous success of Middle of Nowhere, the band suffered from the merger that eliminated their label. The group was moved to Island Def Jam Music Group, which eventually left after a conflict with the label. Hanson has sold over 16 million records worldwide and have had 8 top 40 albums and 6 top 40 singles in the US, the band now records under its own label, 3CG Records. In the early to mid-1990s, Isaac and Zac sang a cappella and recorded such songs as Rockin Robin, Splish Splash. Goode, as well as their own material and their first performance as a professional group took place in 1992 at the Mayfest Arts Festival in Tulsa. They were known as the Hanson Brothers, before shortening the name to Hanson in 1993, Hanson appeared on Carmans Yo. Kidz, The Vidz, which cast Taylor as a young Biblical David facing Goliath, Isaac as an event announcer, all three boys started their musical careers as pianists, but Isaac eventually started playing guitar and Zac started playing drums, while Taylor continued as the keyboard player. The band recorded two independent albums in their hometown of Tulsa, Boomerang and MMMBop, the latter featured the original version of the song MMMBop, which would become the runaway single on their debut commercial record Middle of Nowhere. The boys found themselves at the South By Southwest music festival in Austin, they were promptly signed by manager Christopher Sabec. After this performance, they were signed almost immediately by Mercury and they soon became a worldwide sensation with the release of their first major-label album, Middle of Nowhere, which was produced by the Dust Brothers. 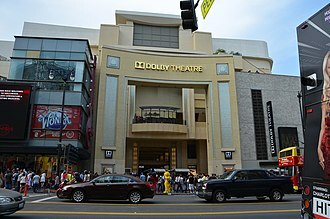 Middle of Nowhere was released in the U. S.
Anaheim is a city in Orange County, part of the Los Angeles metropolitan area. 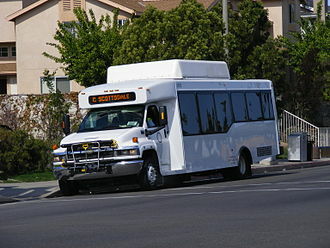 As of the 2010 United States Census, the city had a population of 336,265, making it the most populous city in Orange County, Anaheim remained largely a rural community until Disneyland opened in the city in 1955. 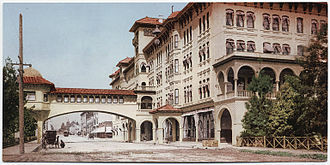 This led to the construction of hotels and motels around the area. The city developed into a center, producing electronics, aircraft parts. Anaheims city limits extend from Cypress in the west to the Riverside County line in the east and encompass a diverse collection of neighborhoods, Anaheim Hills is a master-planned community located in the citys eastern stretches that is home to many of the citys affluent. 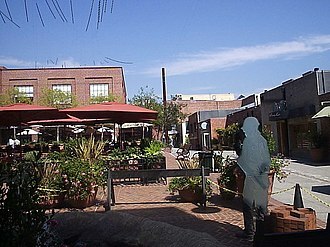 Downtown Anaheim has three historic districts, the largest of which is the Anaheim Colony. The Anaheim Resort, a district, includes Disneyland, Disney California Adventure. The Platinum Triangle, a redevelopment district surrounding Angel Stadium, is planned to be populated with mixed-use streets. Finally, Anaheim Canyon is a district north of California State Route 91. Anaheims name is a blend of Ana, after the nearby Santa Ana River, and heim, the city of Anaheim was founded in 1857 by 50 German-Americans who were residents of San Francisco and whose families had originated in Rothenburg ob der Tauber, Franconia in Bavaria. For $750 a share, the formed the Anaheim Vineyard Company. Their new community was named Annaheim, meaning home by the Santa Anna River in German, the name was altered to Anaheim. To the Spanish-speaking neighbors, the settlement was known as Campo Alemán, although grape and wine-making was their primary objective, the majority of the 50 settlers were mechanics and craftsmen with no experience in wine-making. 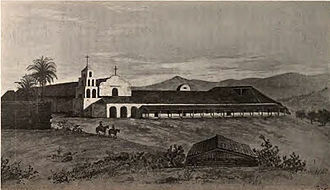 The community set aside 40 acres for a center and a school was the first building erected there. 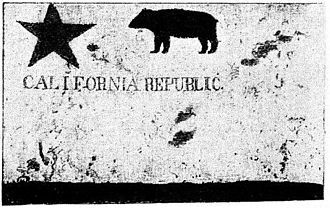 The first home was built in 1857, the Anaheim Gazette newspaper was established in 1870, for 25 years, the area was the largest wine producer in California. 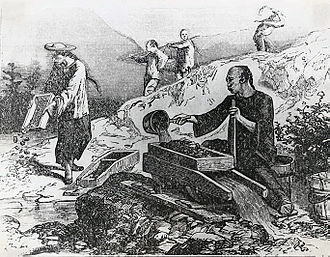 However, in 1884, a disease infected the grape vines, other crops – walnuts and oranges – soon filled the void. Gloria Estefan is a Cuban-American singer, songwriter and businesswoman. She started off her career as the singer in the group called Miami Latin Boys which was eventually known as Miami Sound Machine. Estefans breakthrough success with Conga in 1985 made her known worldwide and it won the grand prix in the 15th annual Tokyo Music Festival in Japan. In the middle of 1988 she and the band got their first number-one hit for the song Anything for You, in March 1990, Estefan had a severe accident in her tour bus. She made her comeback in March 1991 with a new world tour and her 1993 Spanish-language album Mi Tierra won the first of her three Grammy Awards for Best Tropical Latin Album. 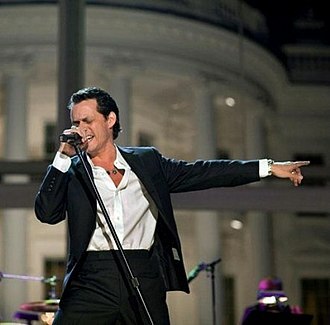 It was the first number-one album on the Billboard Top Latin Albums chart and it was the first Diamond album in Spain. Many of her songs like Rhythm Is Gonna Get You, 1-2-3, Get On Your Feet, Here We Are, Coming Out of the Dark, Bad Boy, party Time and a remake of Vicki Sue Robinsons Turn the Beat Around became international hits, with chart-topping scores. Estefan has sold an estimated 100 million records worldwide, including 31.5 million in the United States alone and she has won seven Grammy Awards. Estefan received a star on the Hollywood Walk of Fame, in 2015, she received the Presidential Medal of Freedom for her contributions to American music. Estefan won an MTV Video Music Award, and two ACE Awards and she was honored with the American Music Award for Lifetime Achievement as well as being named BMI Songwriter of the Year. She was inducted into the Songwriters Hall of Fame and has received multiple Billboard Awards and she is on the list of VH1 top 100 Greatest Artists of All Time, and in Billboards Top 100 Greatest Artists Of All time. Estefan was born Gloria María Milagrosa Fajardo García in Havana, Cuba, to José Fajardo and Gloria García, prior to the Cuban Revolution, her father was a Cuban soldier and a bodyguard for the wife of Cuban dictator Fulgencio Batista. The Fajardo family fled to Miami, Florida as a result of the Cuban Revolution, shortly after they moved to the United States, Glorias father joined the US military and fought in the Vietnam War and moved to Houston after his participation in the failed Bay of Pigs Invasion. UB40 are an English reggae and pop band, formed in December 1978 in Birmingham, England. 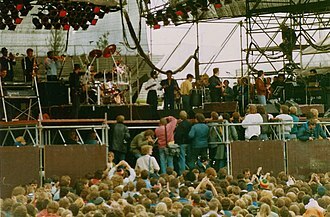 The band has had more than 50 singles in the UK Singles Chart and they have been nominated for the Grammy Award for Best Reggae Album four times, and in 1984 were nominated for the Brit Award for Best British Group. One of the worlds best-selling music artists, UB40 have sold over 70 million records, the ethnic make-up of the bands original line-up was diverse, with musicians of English, Jamaican and Yemeni parentage. Their hit singles include their debut Food for Thought and two Billboard Hot 100 number ones with Red Red Wine and Cant Help Falling in Love, both of these topped the UK Singles Chart, as did the bands version of I Got You Babe. Their two most successful albums, Labour of Love and Promises and Lies, reached number one on the UK Albums Chart. 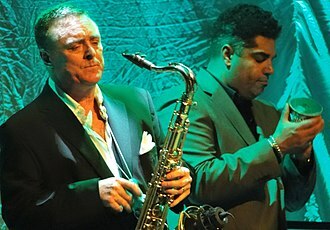 The bands line-up was stable for nearly 29 years, from March 1979 until January 2008, another member, remained with the band until November 2013, when he departed the original band to team up with Campbell and Virtue in a new version of UB40. 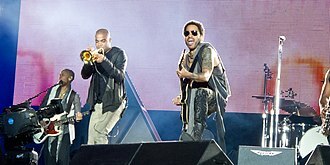 In 2014, legal advice was sought by the band against the group containing Campbell, Virtue. The band members began as friends who each other from various schools across Birmingham. The name UB40 was selected in reference to the document issued to people claiming unemployment benefit from the UK governments Department of Employment at the time of the bands formation. The designation UB40 stood for Unemployment Benefit, Form 40, following a serious assault on Ali Campbell, he received a hefty compensation package which he put towards funding musical instruments for the fledgling band members. They were soon joined by several of their friends, firstly percussionists Yomi Babayemi and Norman Hassan, prior to this, Travers had work as an electrical apprentice for NG Bailey, whilst Robin Campbell had been an apprentice toolmaker. A month UB40s classic lineup was rounded out with the inclusion of percussionist and vocalist Astro, Astro had previously been working for Duke Alloys sound system attending reggae dances in Birmingham. The Rams hosting a football game at Anaheim Stadium, 1991. Gloria Estefan at the Grammys in 1990. All Saints performing in 2007. Clockwise from top left: Shaznay Lewis, Melanie Blatt, Nicole and Natalie Appleton.